Email message catalog (EMC) is wrapper application package for the PeopleSoft MCF Mail classes that allows you create email messages using the message catalog as a template for the subject and body of the email. The PW_EMC:Email application class is a wrapper that takes care of the details of creating and sending the email message. Distinguishing between your production and non-production environments to prevent emails from being sent to real users from non-production environments. Allowing you to pass three bind parameters to the message catalog entry. These parameters can even be HTML stored in a HTML definition. Using settings configured and stored in the table PW_EMC_SETTINGS to determine how to send the email. The details of each email sent are stored in an audit table - PW_EMC_RESULT. Follow these instructions to download, install, configure, and test it. Remember to try it out in a play or test environment first. 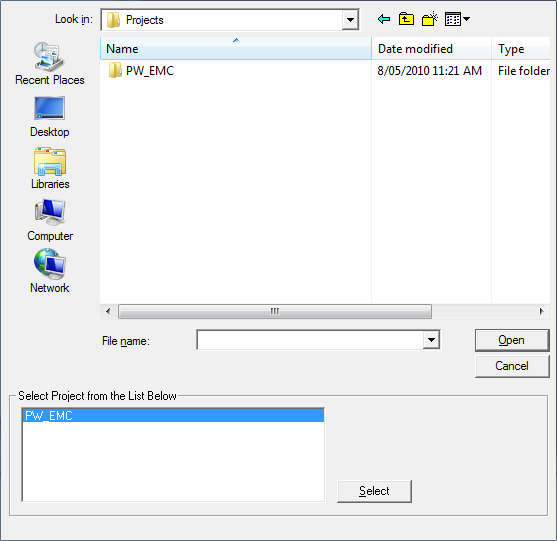 There is also a section at the end of this article that explains the customisation impacts of the PW_EMC project on your PeopleSoft environment. Note, so far I have only tested email message catalog on PeopleTools 8.48/8.49/8.50 with SQL Server and Oracle databases. So if you are on a different platform, you may encounter some issues. If you do, please post them to the email message catalog forum. Import the project into your play/test environment using Application Designer. Note if you are copying over an older version, make sure that you choose the default of copying the project definition from file so you get the latest version. You can perform a Tools > Validate Project at this stage. The project should validate without any errors. Once the copy is complete, select Build > Project. 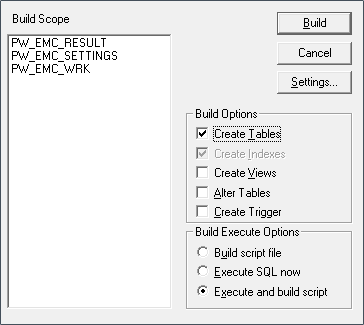 Select Create Tables and choose either Build the script file and run it on your database or execute and build script to build it through application designer. 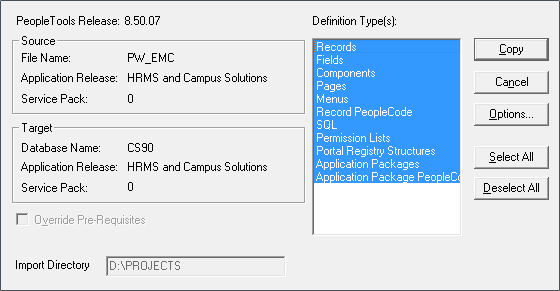 There are two tables to be built: PW_EMC_RESULT and PW_EMC_SETTINGS. Hopefully they build successfully without any errors. If you do have errors, check the build logs. If you can't resolve the problem, please post a question on the email message catalog forum. To access these folders you will need the PeopleSoft Wiki role which was imported by the email message catalog project. Give yourself the PeopleSoft Wiki role through user security. Note the PeopleSoft Wiki role contains one permission list — PW_SECURITY. Hopefully you can reach the navigation to the Email Message Catalog. If not, you may need to purge your portal registry cache. Also make sure you gave yourself security! 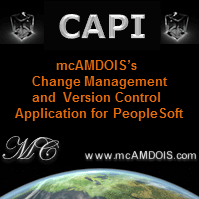 Navigate to PeopleTools > Utilities > PeopleSoft Wiki > Email Message Catalog. You will need to update the SMTP and environment settings here. The alternate from email address to use when not in production (for testing purpose). Make this something like moc.etisruoy|ylperon#moc.etisruoy|ylperon. The alternate to email address to use when not in production (for testing purposes). Make this your email address so you can check if emails are working. Note the default settings are not saved to the database. So you will need to change them and save them before you can use the tester. Congratulations <strong>%1</strong>, the email message catalog is working successfully. 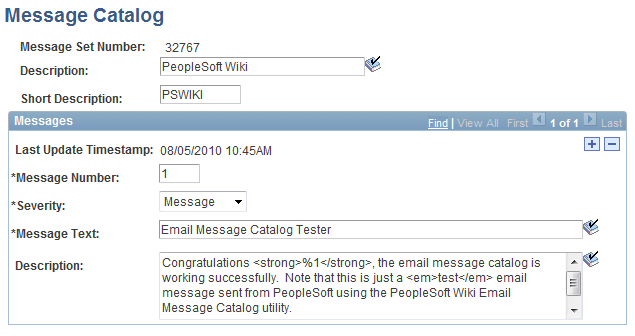 Note that this is just a <em>test</em> email message sent from PeopleSoft using the PeopleSoft Wiki Email Message Catalog utility. This is a template email message catalog for the tester application to use. Note that the description/explanation text includes HTML and a bind parameter (%1) which will be converted to the user ID of the person that sent the email message through the tester. The reason this is a manual step is so you can see how you would set up your own message catalog entries to use with email message catalog in your own code. It means you didn't set up the message catalog entry (or save it). Go back and do that. you will still get an email if settings are correct, it just won't show the right things. Hopefully you get a code of 1 / Delivered Successfully. You can also run a query on the database table PW_EMC_RESULT to confirm the email message was saved to the database. If you don't get a successful result it is more than likely due to your SMTP server configuration (server name and port). Finally check that you actually received an email! To check which version of the Email Message Catalog project is in your database, look at the project properties at the end of the comments section. E.g. it will say Version: 2010-05-08.